Two cups full of strawberries. One tablespoon of peanut butter. Wash and cut the strawberries into pieces and then put in the blender. Then you have to slice the banana into 4 pieces each and then put it in the blender with strawberries. Put one tablespoon of peanut butter inside of the blender. Then, add a cup of milk to the blender. The last but not least step on strawberry is Blend for about 5 minutes. 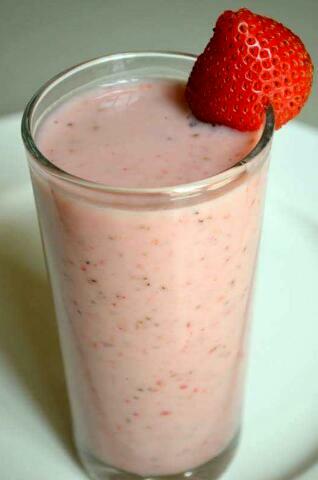 Pour it in a glass/tumbler and enjoy your smoothie!